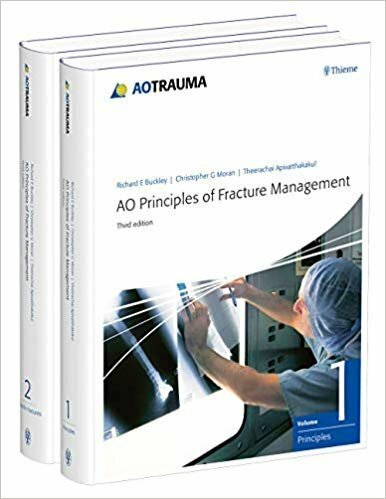 The AO Principles of Fracture Management has served many generations of surgeons around the world as the source of knowledge and essential reference in the field of orthopedic trauma surgery. The fundamental principles of fracture surgery have not changed in 60 years, but the biological and clinical knowledge, as well as technological advancements have extended new possibilities in surgical treatment and offered surgeons the opportunity to explore new ways of applying the AO principles. The new third edition of this book has been expanded to include new knowledge and explore state-of-the-art technology. It also addresses pressing challenges that face orthopedic surgeons today, such as the exponential rise in fragility fractures resulting from demographic changes and an aging population. The book aims to help surgeons to successfully rise to such challenges. Key features include: Contributions from more than 50 highly renowned surgeons, scientists, and medical professionals More than 2,100 high-quality illustrations and images, as well as access to over 250 video presentations New chapters on periprosthetic fractures, knee dislocations, fragility fractures and orthogeriatric care and additional information on operating room setup and planning Immediate access to AO's continually evolving range of online educational offerings via QR codes for mobile devices including animations, webcasts, webinars, lectures, AO Surgery Reference, AOSTART and more AOTrauma is pleased to bring you a new expanded, comprehensive, and updated edition of the AO Principles of Fracture Management for residents, fellows, course participants and faculty, Trauma and Orthopedic surgeons, and operating room personnel.